Crop protection research at IGEPP is focussed on the reduction of pesticides, using the combination of academic and applied research. Crop protection is a major social and economic challenge for high quantity and quality food production. Providing humans with healthy food while assuring low contamination and minor ecological effects on biodiversity is critical. Research at IGEPP is thus focussed on the reduction of pesticides. It aims at developing innovative methods thanks to the combination of academic and applied research. To decipher the responses to abiotic and biotic stresses of plants, plant pests and their natural enemies. Dr Didier Andrivon is a research director at INRA . Ever since he joined the institute in 1985, he has focused his research activities on the evolution of plant pathogen populations in response to the deployment of resistant hosts. The main objective of his research is to identify the evolutionary mechanisms which condition the speed of adaptation of pathogens to their hosts, which can be seen as a suitable proxy of resistance durability. Understanding pathogen adaptation in agricultural systems involve several methodological, but also theoretical issues, linked to the concepts of fitness and trade-offs. These activities have been carried out within the frame of a number of national and international research projects, some of which Dr Andrivon has coordinated. 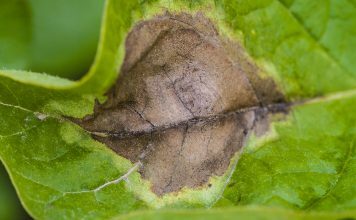 The most recent of these projects is IPMBlight 2.0, which aims at a better integration and exploitation of pathogen population data for improved control of potato late blight, caused by Phytophthora infestans. This project is representative of the current trend of interdisciplinary research for operational, sustainable and innovative solutions in plant protection. To discover more about the IPMBlight 2.0 project, click here.